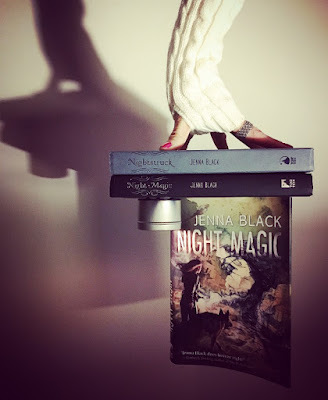 Do you remember my blog post about Nightstruck? 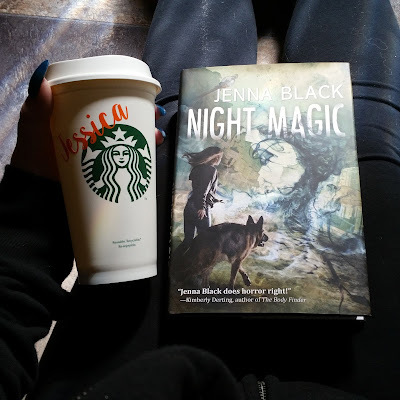 If so, then you know that Jessica and I were anticipating book 2 in the series, Night Magic and we were not disappointed! Scroll below for the synopsis and our thoughts on this YA paranormal/horror book. Didn't see the Nightstruck review post? No worries - click HERE! Becket is back but this time she's Nightstruck and no longer is carrying around the guilt of bringing the night magic into Philadelphia. Instead she is running around with Aleric, not a care in the world, and selfishly trying to make this new life easier. She causes further damage to the city and her relationships but her loved ones won't give up on her. She knows she doesn't want to be "saved". But she knows Aleric doesn't have the hold on her that he does on the rest of the Nightstruck. So where does this leave her? She doesn't feel like she quite belongs in either world. As an avid horror fan, I can see how some might feel this isn't scary at all. However, I don't think YA books in this genre typically SCARE, but the horror elements are there. A paranormal evil man who was the start to the night magic, a city that comes to life at night - statues come to life in a truly horrific way, benches become mouths that feed on flesh and lamp posts become head posts, etc. etc.. I love this other world! I definitely prefer Nightstruck Becket, but I do find her a bit annoying either way to be honest. I also did find the book to be somewhat predictable and has your typical YA elements. However.... something about this book and this world Jenna Black has created has completely drawn me in. I like where the series is going and I'm so curious as to where the next book will lead to. I don't see many YA books in the horror genre that pull me in the way that this series has. A fantastic two books into an extremely promising series. I give it a full 5 stars because as soon as I turned the last page, I wanted to know more. If you like YA and you like paranormal horror in the lighter sense, I recommend giving this series a chance! If you had the chance to live in a world where you never felt guilt, remorse or grief and gave into your basic instincts (basically becoming your ID), would you? 5/5 creepy stars from me! Night Magic by Jenna Black is the sequel to Nightstruck. We continue the story with Becket in the still quarantined Philadelphia - after she unknowingly unleashed a darkness that transforms the city into a hell-like state. I was so excited to dive back into this creepy horror! After Becket has become one of the Nighstruck, she is roaming the monstrous streets and having the time of her life. The rest of the city hunkers down and tries to survive the evil that transforms everything at night into a living nightmare. 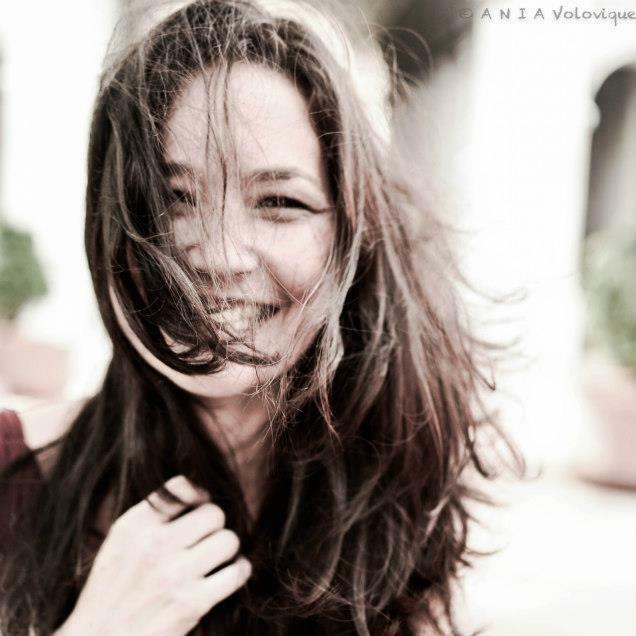 The guilt about her loved ones, that had originally been eating away at her, is completely gone. She has come to terms with having let this terror loose and with the leaving of her guilt, so also seems to lose her conscience. Consumed by the power and freedom of not having a care in the world, Becket continues to fall deeper into the darkness of Night Magic. Her friends and family refuse to give up on her, but will they be able to when she is fighting to keep herself exactly where she is? I haven't really found a YA horror that was actually creepy or had true horror elements. Usually it's really watered down horror with predictable scares. Nightstruck and Night Magic have a really unique quality to them and how the city transforms is amazing. 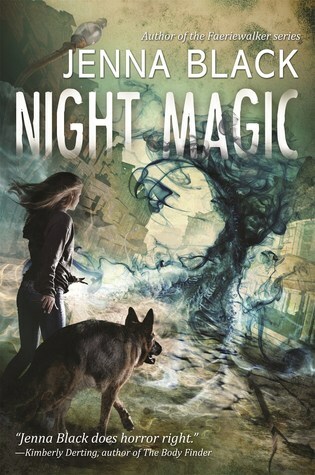 I loved the parts describing the city at night (both in Nightstruck and Night Magic) and how it transforms. While the scares weren't all that predictable, the movement of the plot was, but I still enjoyed it! I'm curious to see where the story continues and will definitely keep up with the series. If you want a lighter horror story with paranormal elements mixed in, then I would highly recommend this one to you! I was impressed that I liked the sequel just as much as the first book. Huge thanks to Tor Teen for these copies in return for our honest reviews - can't wait to see more from this author!